Home » Fun Fact Friday » You…You…You…Stamp Licker! Today’s fun fact: Licking a stamp burns 10 calories. The premise of Postcrossing is that you set up a profile telling a little about you and what you like. Then you send a postcard or a few to people in random places in the world. Then when the person receives it, they log in the postcard. Once they do that then someone will get your name and send you a postcard. Once you log it in then they’ll get one…and so on…and so on and so on. If you choose to do this, you’ll need to know that postcards within the US are $.33 for 3X5 or 4X6 and $.46 (a forever stamp) for larger than 4X6. 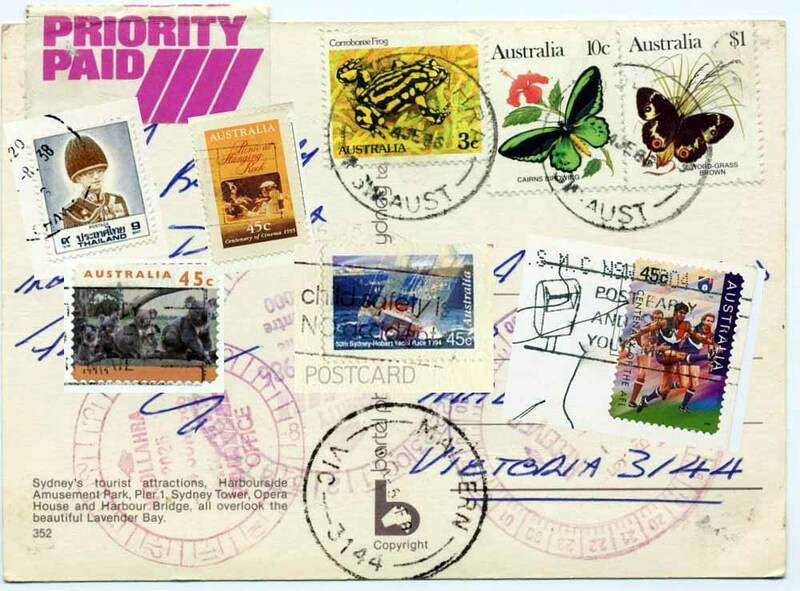 Postcards to anywhere else in the world cost $1.10. If you have further questions your friendly postal workers can help you. They’re good like that. PS If you don’t like licking stamps they do have self sticking stamps at the USPS too. PSS Send real mail. It makes people smile. PSSS Sending real mail also supports the USPS. My brother-in-law works for USPS, so I appreciate you sending real mail too. PSSSS People who collect stamps are called philatelists. I personally think philatelists are cool. PSSSSS I am a USPS supporting philatelist that makes me cool. PSSSSSS USPS means United States Postal Service. By Jillbeingstill in Fun Fact Friday on April 19, 2013 .